If you don't know who Jillian Bell and Charlotte Newhouse are, then YOU DON'T KNOW FUNNY! Bell, who starred in "22 Jump Street" and "Workaholics", and Newhouse are both on the hit Comedy Central show "Idiotsitter", but today they're both in the "Allegedly" hot seat. Have they ever hooked up? Why was writing for "Saturday Night Live" so awful for Jillian? What actor hit on Charlotte in the lamest way? 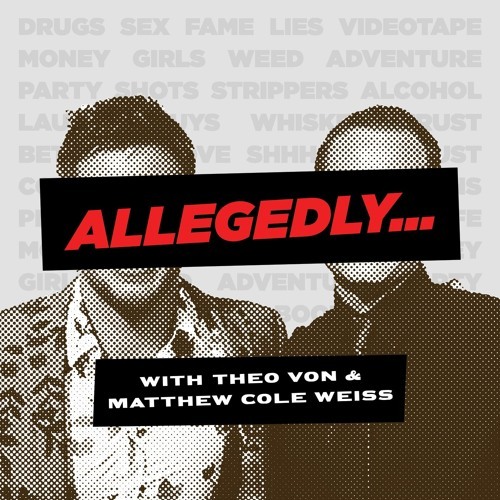 Find out the answers to all these questions - and discover why a cockroach once got stuck in Theo's babysitter's ear canal - on this episode of "Allegedly". By the way, wait until you hear Jillian's impression of Drew Barrymore - flawless.